Come see why so many people are excited to make Nankin Mills Village their new home. Nankin Mills is Pulte Homes newest community in the Metro area with base prices starting in the upper $200's. This homesite has a walkout basement with no neighbor behind and will back up to a landscaped tree line. 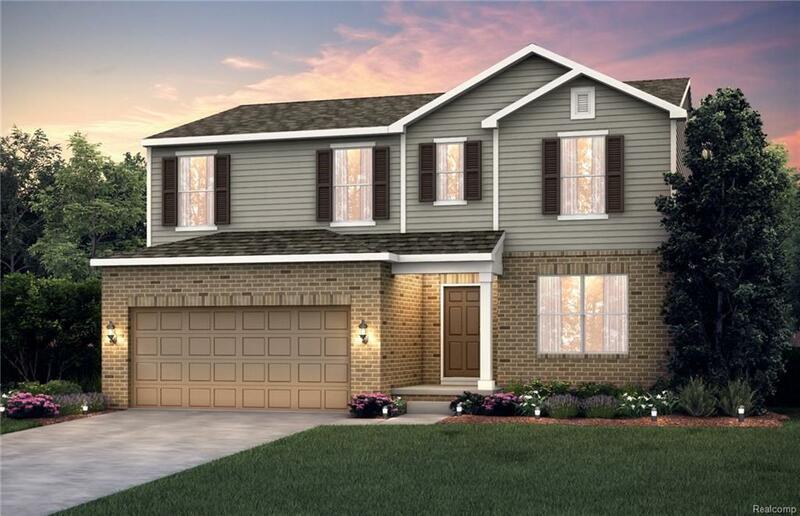 The Aspire floor plan offers 4 bedrooms/2 full baths and 1 half bath. The owner's suite is complete with an owner's bath and walk-in closet. The Kitchen features SS appliances/quartz/vinyl/36" cabinets and an island. There's a 2nd floor laundry and flex room on the first floor which could be your home office and an oversized garage. There is still time to personalize your new home. Pulte's 10 year structural warranty. Located in the Livonia School District. Convenient to shopping schools and I-96 and I-275. Call today to make an appointment to build your new home in Nankin Mills. Photos shown are of a similar model. Prices and features subject to change without notice.